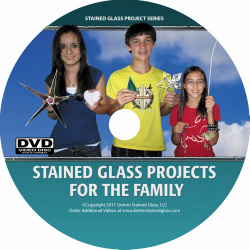 We love the stained glass projects [on the video]. The thing that is so cool is that when we finish them, they look so professional... They make really good gifts. We watched the video, thinking it would be good for a day. We figured it would give us something to do for an hour or two....We found ourselves watching in again and again and then, we’d build the projects...It was nice to find bonus projects on-line. 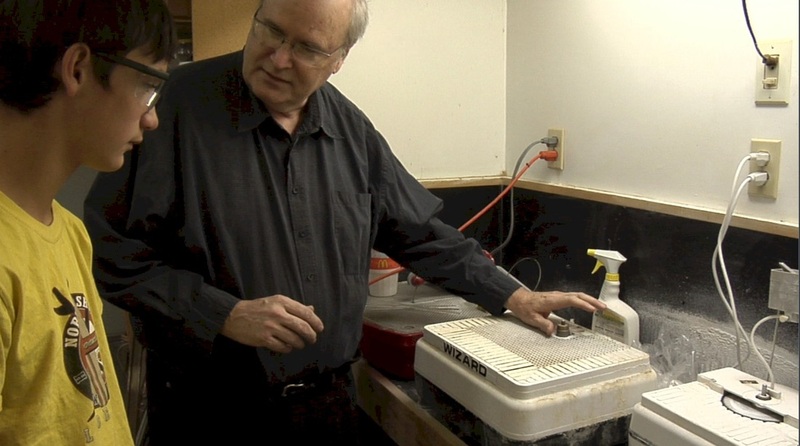 This video is full of projects for the whole family. 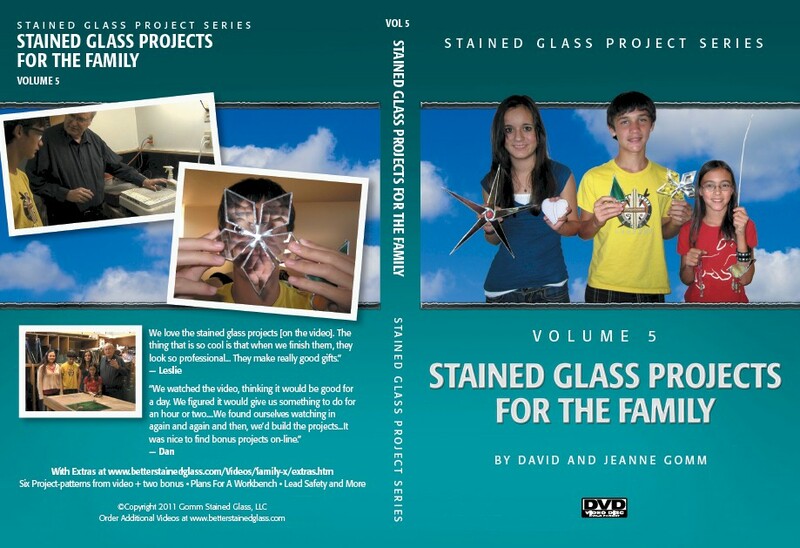 David Gomm, author and stained glass artist shows some of his grandchildren, who have never done stained glass before, how to make projects, including a stained glass icicle, a Christmas tree, a hanging star and a heart sun catcher. You will find that the video is fun to watch and that you'll easily be able to build these projects. They are designed to be able to complete in an afternoon. Projects also include a folk bird, and a large "crazy star," a total of 6 projects are demonstrated with additional project patterns on the pdf's that come with the DVD. These projects are designed with the family in mind. Some of them may require some guidance from parents, but many of the steps are well within the capabilities of young children. 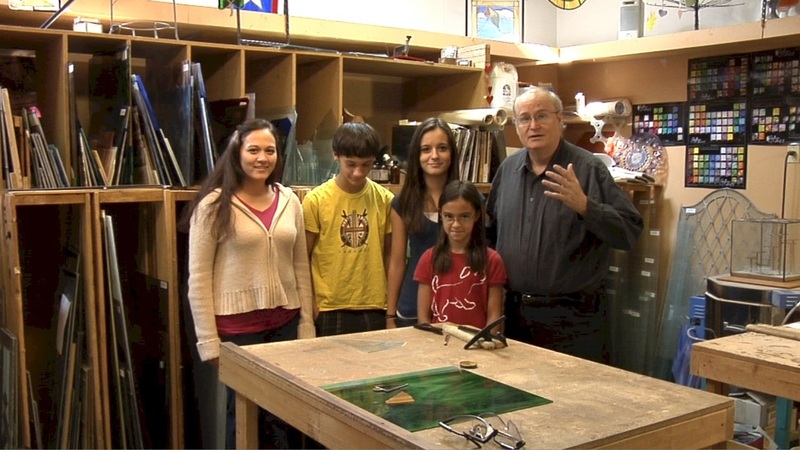 The video is designed to introduce both children and adults to the art of stained glass quickly and easily so they can immediately begin to enjoy an art form that could become a hobby of a lifetime. You'll find that many of these projects look so good when completed that you'll not only want to decorate with them, you'll be proud to give them as gifts. Stained Glass Patterns PDF 5 pages of patterns. 7 different projects that the whole family can enjoy.